In prose that is elegant, sly, precise, and devastating in its awareness of the human heart, David Bezmozgis has rendered a story for the ages, an inquest into the nature of fate and consequence, love and forgiveness. The Betrayers is a high-wire act, a powerful tale of morality and sacrifice that will haunt readers long after they turn the final page. Bezmozgis instills, within the story, swift strokes of suggestion in the perfect embodiment of "show, don't tell." With his clear, straightforward style, Kotler becomes an intellectual with a sharp mind and tongue to match; someone who knows his strengths and weaknesses, but is still curious and daring enough to constantly test boundaries. Matching this against Tankilevich's self-righteousness, anger and long-standing guilt, Bezmozgis brings us to a powerfully dramatic climax with prose that bursts through the pages and sparkles like firecrackers. (Reviewed by Davida Chazan). The Betrayers turns a mirror on readers' own moral choices through a compelling and piercing exploration of guilt and self-justification. Mr. Bezmozgis accomplishes the higher task of understanding and humanizing his characters creeds. A reminder that good fiction aspires not to be timely but timeless, The Betrayers illuminates old, stubborn arguments that usually inspire only heat and noise. A lesser writer may have wilted under the expectation that attended this work. But Mr. Bezmozgis's deft plotting, atmospheric scene-setting and limpid style remain assured. Each page is a gem, its prose carefully weighed and polished. Starred Review. Though the action is fixed largely in one location, Bezmozgis's novel feels vast, its pages heavy with the complicated debts we owe one another, which are impossible to leave behind. Starred Review. Nearly everyone is a betrayer in some way in Bezmozgis' wise, transfixing, and annealing novel of humor and pathos in which today's personal and political paradoxes embody the archetypal conflicts of humankind. Starred Review. A masterly treatise on the complexity of blame and forgiveness that successfully articulates the loss of individual freedom one experiences while navigating political, family, and religious structures. Starred Review. 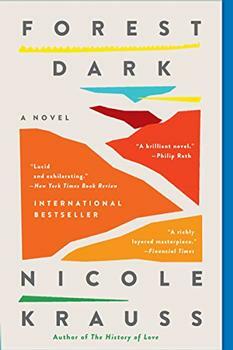 Philosophical, provocative and nervy - an interior novel that manages to encompass a breadth of issues. In this taut, fierce, forensically insightful novel, David Bezmozgis explores the frictions between goodness and kindness, public and private virtue, forgiveness and forgetting. Compulsive and profound. Now that Philip Roth has finished his life's work, let us turn our attention to David Bezmozgis. His bravery and style are off the charts and The Betrayers is his finest, slyest, most robust work yet. This unforgettable novel squanders no words in its brilliant, deft depictions of love, of memory, of compassion-and, ultimately, despite its title, of loyalty.